The 2017 Honda HR-V in Phoenix is one of the most affordable crossovers on the market. Brand-new on the scene last year, the model returns unchanged this time around. 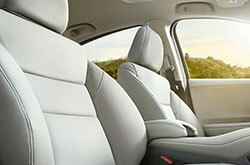 This means it continues to feature outstanding fuel economy, a unique cargo solution thanks to Honda's Magic Seat and comfortable seating for up to five passengers. Read about the model in our 2017 Honda HR-V review below and its vast capabilities. LX, EX and EX-L Navi are the three trim levels offered on the HR-V. Across the lineup, you'll find a number of standard features, including a tilt-and-telescoping steering wheel, 17-inch wheels, a height-adjustable driver seat, Bluetooth, a CD player, a USB port and a 60/40-split rear seat. 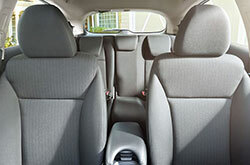 Like the Fit, the 2017 Honda HR-V in Phoenix also comes with the brand's signature Magic Seat, which can be opened up to reveal a narrow cargo area designed to store items such as bikes. As you move up the lineup, other amenities including a six-speaker sound system, a sunroof, rear privacy glass, keyless entry and heated front seats are offered. 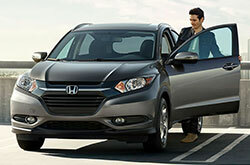 All HR-V trims come with a 1.8L four-cylinder, delivering 141 horsepower and 127 lb.-ft. of torque. 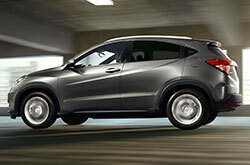 A six-speed manual or CVT automatic can be mated to the powerplant on either front-wheel or all-wheel drive examples. The most fuel-efficient models of the bunch come with the CVT, delivering an EPA-estimated 31 mpg combined, 28 city and 34 highway. 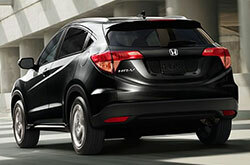 Antilock brakes, stability control, a tire pressure monitoring system, airbags and traction control can be found on all versions of the HR-V. Other technologies mentioned in 2017 Honda HR-V reviews, including blind spot warning, emergency braking assist, a remote anti-theft alarm system and child safety locks, can also be found on the roster. The esteemed 2017 Honda HR-V should be on your new car shopping list, especially if you've been on the hunt for the 2017 Kia Soul, Kia Niro, Chevy Trax and the Buick Encore near Phoenix. You may realize that its chic exterior styling and on-board technologies are just what you require in a daily driver. 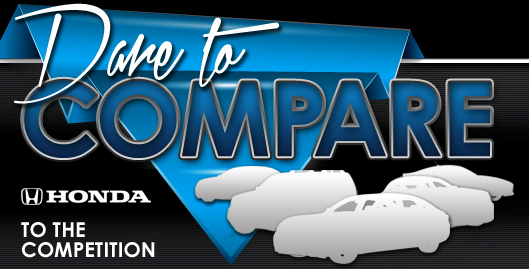 Look over our report and check out the compare tool to see if the 2017 Honda HR-V works for your everyday needs; and after, check out finance incentives available at Showcase Honda. When you visit our Honda dealership, you'll find incentives on a massive selection of new and well-maintained used cars, including offers for the well-liked Honda HR-V. To make an educated purchase, it's critical to look at 2017 Honda HR-V reviews; we endeavor to help with this by providing the info you right on our site. Uncover the impressive Honda HR-V at Showcase Honda, where you can be won over by a test drive and explore the model upfront. If you can't wait to see it in the flesh, take a glance at its classy interior in the enclosed video clip before visiting.